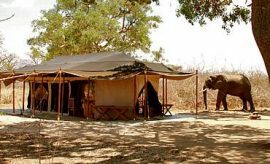 Jongomero offers a luxury African safari experience with its yesteryear tented accommodation in Ruaha National Park, Southern Tanzania, about 388 miles (625 km) from Dar Es Salaam. 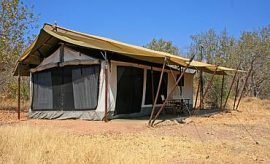 It is one of the most isolated wilderness camps in Africa, set in wild and undisturbed bush 70 kilometers from the nearest tourist base. Between the seasonal Jongomero River which is sandy in the dry season, and the Great Ruaha River, Jongomero Camp has a permanent entourage of visiting mammals to enliven your Tanzanian safari vacation, from elephants digging for water with feet and trunks, to hippos traversing into the nearest water for sunscreen and vervet monkeys looking like dressed up Arctic explorers with dark snouts poking from fur-lined hoods. Ruaha National Park comprises an area bigger than Wales in which a largely unrecorded wealth of wildlife still survives undisturbed by humankind. The area is home to over 570 bird species and more are discovered every year. Magnificent rare Sable antelopes with deep chests, thick manes on the upper back and burnished brown-black coats proudly lift their huge, light brown, backward arching horns. Roan Antelopes like goats bear long, screw-threaded horn spikes, and stately Kudu with spiral curvy horns, beards and stiff, feathery manes on upper chest and neck, look as if they are wearing a bi-tone horse-blanket. You arrive at Jongomero Airstrip a few minutes from the camp at the start of your adventurous Ruaha trip to be greeted by staff with songs and smiles as an honored AfricanMecca guest, with the camp eager and privileged to please. There are 8 spacious tent suites well-spaced along the sandy Jongomero River bank. 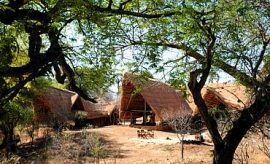 Built on sturdy, raised, polished wooden decks, they have deep thatched roofs providing shade extending over large viewing verandahs on which comfy chairs, a day bed and table overlook visiting wildlife that move through this part of the Ruaha Park. 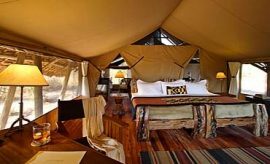 The tents are richly furnished in Tanzanian safari style, with immense empress beds crafted from polished dhow wood, ethnic woven throws and mats. Roomy living areas with comfy chairs and cushions in colors of straw and earth give uninterrupted wilderness views as does the airy bathroom with flush toilet and solar hot and cold water to twin steel vanity basins. A basketwork chair and enormous walk-in shower with complimentary toiletries complete the self-indulgent African holiday atmosphere. 250 volt electricity is available for lighting, and a backup immersion water heating, but since the aim is to provide a relaxing, back to nature ambience, there is no Wi-Fi – a technology detox camp! A vast, thatched roofed main lodge in the shade of a primordial ebony tree provides a comfortable bar, lounge and dining area, and there is a sieved swimming pool with mattresses and towels provided for those warm Ruaha days, where a dip in the pool in between meals and relaxation would do AfricanMecca guests lots of good. 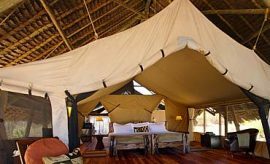 The camp is unfenced, allowing free passage for frequent elephants and buffalo, or an occasional hippo, lion or leopard. Your Jongomero safari starts in your own backyard, but you are safe within your secure tent or escorted by guides and rangers when you brave the great outdoors. 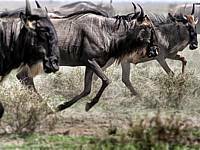 Game-viewing walks and drives in wildlife national parks in Tanzania must stay on the designated tracks and observe a 6.30-7.00 p.m. curfew. Night drives are not permitted. 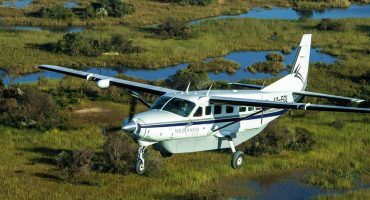 But you may go on guided walks and even fly-camping expeditions with a guide and an armed ranger to achieve a closer understanding of the bush, its butterflies and birds, lizards, flowers and vegetation. 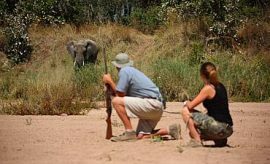 Although you will see many animals close by the camp or on walking safaris, if you are looking for a special rarity you will need to go farther afield in your 4x4 with a guide who really knows the area and its inhabitants. 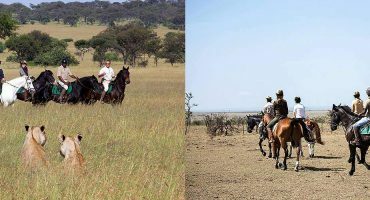 Whichever method you choose at Jongomero, you will most likely not meet another jeep, nor another human assuring you that exclusivity, authenticity and personalized wildlife viewing experience, which is so lacking in current wildlife safari viewing experiences in branded parks such as the Serengeti or Masai Mara. This is travel in Africa as it used to be. 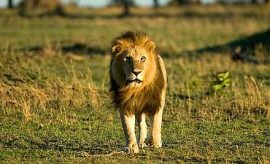 At Jongomero, you are experiencing the same alert apprehension, the same aloneness in the heart of the real world, and the same freedom as the first explorers (read more on when is the best time to visit Ruaha for an off-beat African safari). Half day and full day drives are recommended depending on the distance to the type of terrain you wish to explore. An AfricanMecca tour in Ruaha will take you through harsh and varied landscape. The whole park owes its unspoiled existence to the presence of tsetse flies which prevented earlier human settlement and cattle farming, but they can still be a nuisance in some areas, so the jeeps have special wheel attachments in which elephant dung is burned as an effective repellent. Fine dining is the norm at Jongomero with a cosmopolitan blend of dishes, international and fusion based, incorporating both classic and Tanzanian ingredients and methods. A tray of fine Tanzanian tea or aromatic coffee arrives on your verandah with the dawn. 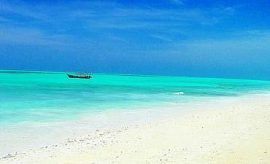 Breakfast may be eaten in the dining area, a choice of fresh fruit, cereals, fresh bread, toast and preserves, egg dishes or a full English breakfast as traditionally served on any tour of Africa. Or you could eat outdoors, choosing fresh cooked pot breads, omelets or frittatas, cooked over a wood fire. Lunch may be a delightful buffet of gourmet dishes, hot or cold, or an inspired picnic taken as you make an extended Ruaha tour in 4x4 safari vehicles with shaded top, and three tilted seating for all round vision. 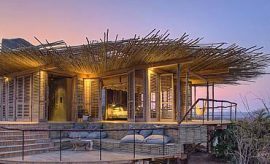 Sundowners in the bush or round the campfire make an excellent aperitif to dining elegantly under the African sky twinkling with stars, table d’hôte, or on tasty Tanzanian favorites cooked in a bush kitchen. A candle lit table set on a sandy river bed with sparkling crystal and linen napkins makes an out-of-this-world memory of your Tanzanian tour as your armed guard keeps watch for predators or marauding elephant. After dinner, rich desserts, cheeseboard, coffee and cognac or liqueurs set the mood for campfire yarns and reminiscences. 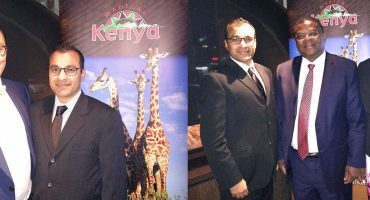 Special dinners and thoughtful surprises are prepared for birthdays, anniversaries, honeymooners on safari or other special occasions. Special diets can be requested and accommodated via AfricanMecca. 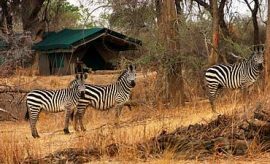 When staying at Jongomero Camp in Ruaha, we recommend combining it with offbeat parks in Southern and Western Tanzania such as Selous or Katavi ending with a chimpanzee trekking safari at Gombe or Mahale.